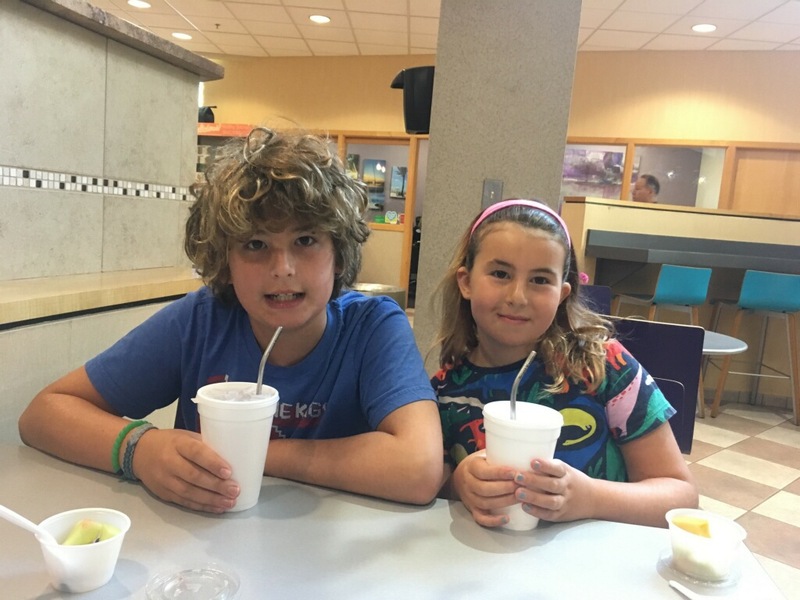 New band merch: re-usable straws! Confession: I don't own a CD player. BUT in light of 2018, etc, musicians have turned to the merch table as income generators for those who don't have Hollywood connections to music supervisors. Metal straws with the band name laser engraved on them! It's a great and inexpensive souvenir that provides extra dollars for the artist -- and constant advertising in an environmentally friendly way that doesn't take up closet space. I think every band should have them at the merch table, and every music fan starts a straw collection. 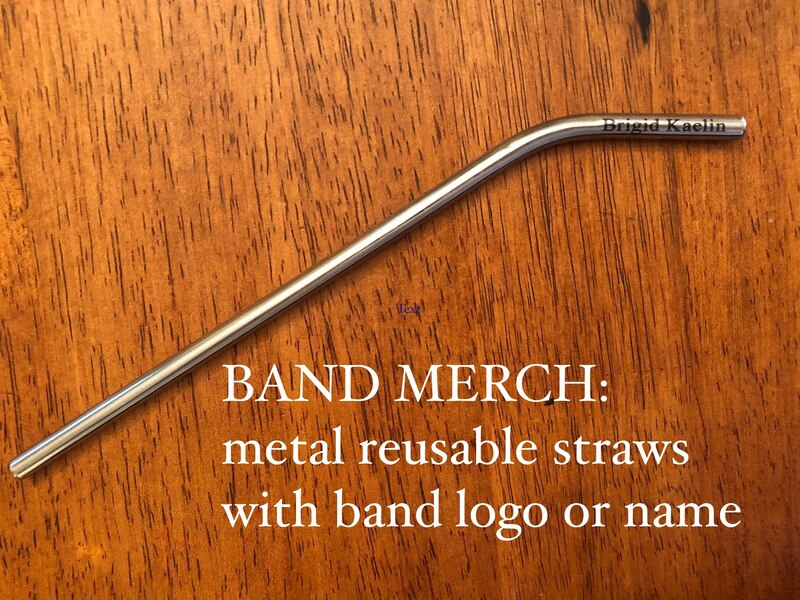 You'll forever have a reminder of the great band show you saw, and you'll establish a nice collection of straws that are USEFUL and great conversation starters and good for the world too! 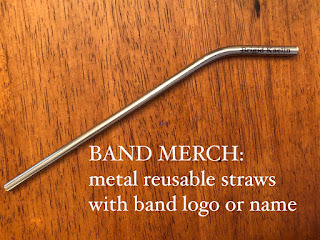 I'm full of great ideas, and if I wanted to make a quick million, I'd start a company specifically set up to engrave band logos on metal straws. But, honestly, I can't spend my time doing that because I have songs to write and people to entertain. Someone else, feel free to start that company. I'll be out traveling the world trying to make people smile. Mine are $5/each. Like I said -- it's a cheap and fantastic souvenir and a quick way to support a local artist. I haven't seen anyone else doing it yet on the google, but I sure do hope it catches on. Because I don't like drinking out of a straw with my name on it (sort of like wearing your own band t-shirt). It feels like I'm at camp and my mom had to write my name on everything. But I'd love for you to drink out of a Brigid Kaelin straw the next time you're at a live show! Rejecting single stories and singing to the future. 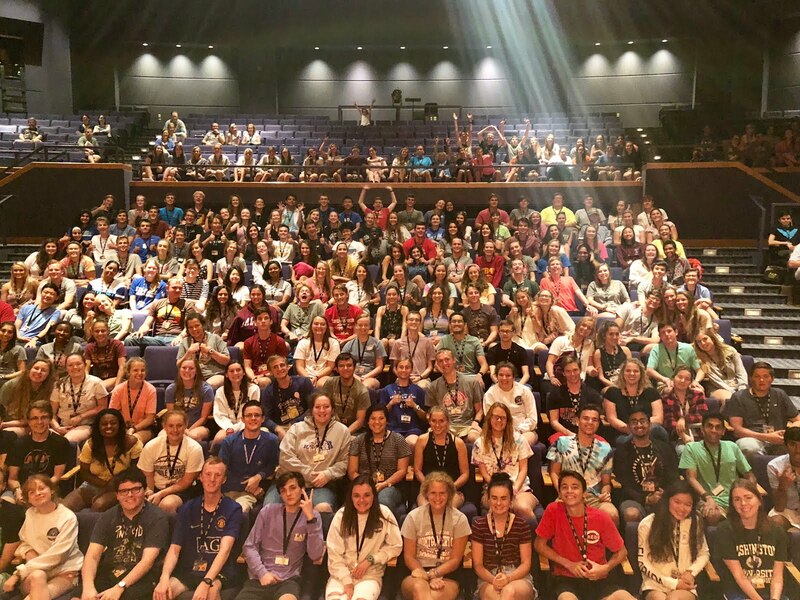 Ah, a theatre full of brilliant teenagers -- maybe my favorite kind audience! 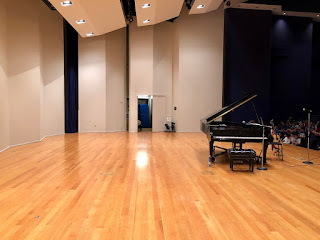 Last night I played at Northern Kentucky University to a full house in their Greaves Concert Hall. 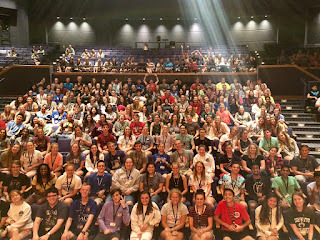 The crowd was the Governor's Scholars Program, and I was their last "Convocation" of the summer. A convocation is a few steps above being a concert. If you've ever seen me live, you know I like to talk. But being given a platform to speak about my trajectory, ups and downs, other careers, family and work balance, etc., as well as an audience that asks the smart questions, always makes the evening a bit more well-rounded. I could have just played a concert, but I feel like it's important to talk about choices and things that got me to where I am. 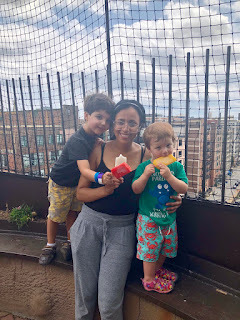 Also, I mentioned breastfeeding, and, like, 90% of the boys in the crowd freaked out and groaned, and I totally called them out for being ridiculous. It also made me wish I was finished with a theatre project that I've been working on for a few years because I would like to be traveling the countryside delivering songs and messages to audiences like that. Sidenote: I rented a car and drove solo, and it was so nice to have alone time! 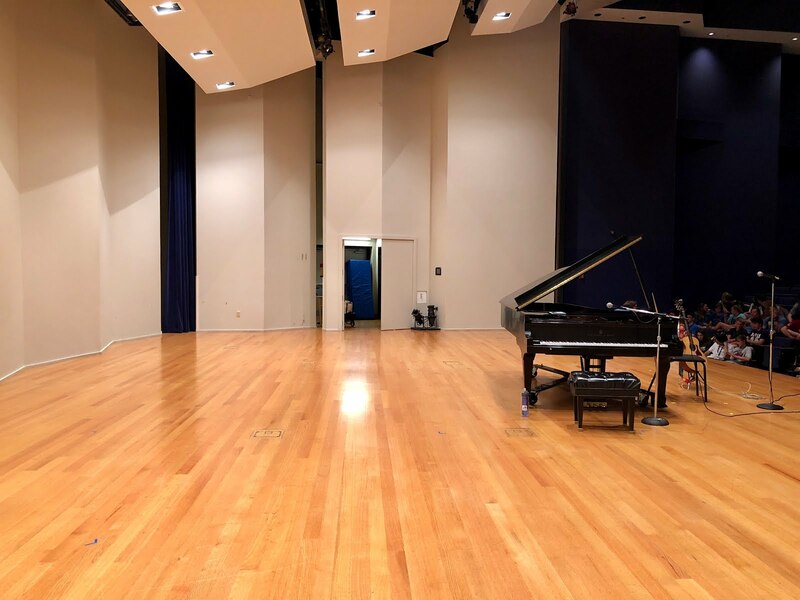 Playing Greaves Hall was funny because I'd played the stage at least 5 times previously, but always as a sideman -- usually playing piano or guitar while other students sang in the summer program "Showcase" nights when I was a Governor's Scholar there in 1995. I was the perpetual sideman, and it was liberating to be front and center with something to say. Also, the scholars asked the most brilliant questions, and we talked and talked about what it meant to be an artist and a businesswoman and a writer and to want to do more than one thing with your life. I have been boycotting shows that have all-male lineups because it's ABSURD to have no women on an entire bill in 2018. I realize that it all goes back to basic sexism from record labels and angel investors -- those people who throw money and publicists and booking agents at male artists. From there it means more male artists on the radio, more male artists at festivals, more male artists at live shows. It's not always the venue's fault either because often it's a promoter who puts on shows at music venues. It's always not always the fault of the particular band who is playing, but men-who-play-in-bands, I BEG OF YOU: please point out to venues/promoters/whoever-was-in-charge when there is a deep inequity of the sexes. I ran into a problem a few weeks ago when I was unexpectedly going to be in town, and a favorite band of mine that only plays Louisville once every 5 years or so, was playing. BUT THE LINEUP WAS ALL MEN! I am not sure if anyone noticed, other than the few band members I complained to, and I'm hoping I haven't ostracized myself from them because I absolutely adore every single member of this band as a human being and not just a band. I wanted to go to the show... but my boycott!! Anyway, Love Jones is an amazing band full of the best energy and performers I've seen. Everyone should take notes on stage presence, banter and putting on a show. Thank you for letting me play accordion with you all -- can we do it again sometime, please? #bookmorewomen ! 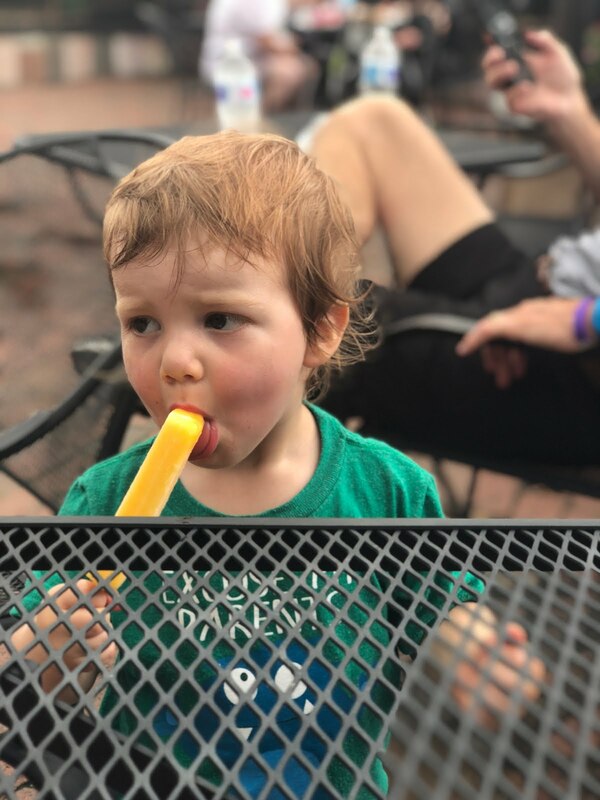 Road trip adventures & a send-off show! It's been 2 weeks! We've had some adventures in that time -- some amazingly fun and some not so fun (tell you about that another time). Kansas City called, and we enjoyed a few days in a very fancy hotel there -- mostly spent at the pool. The little guys and I drove and met David in KC, so we took our time and spent a night in St. Louis along the way. 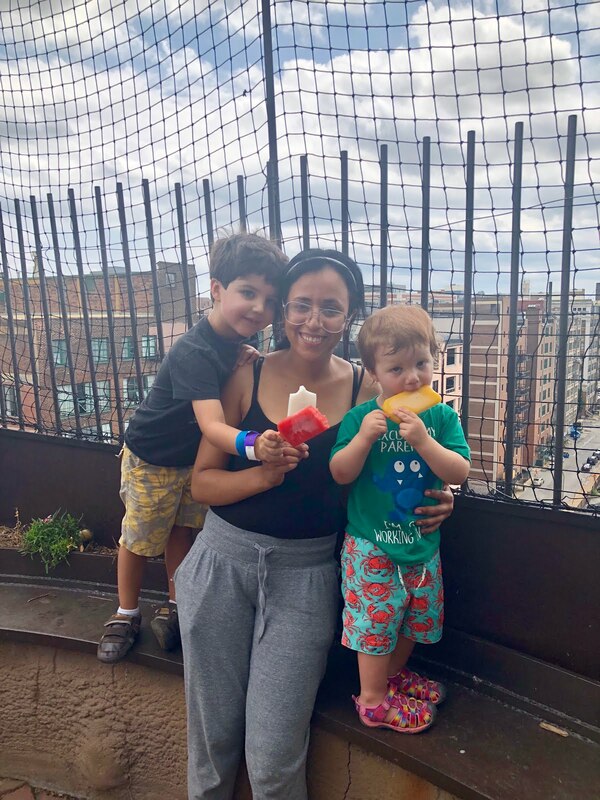 We rolled in just in time to go to the City Museum, a place I can't wait to take them back to when they're older. 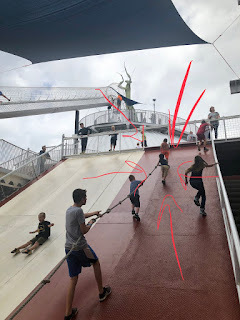 There was plenty to do for the littles, but WOW would they have a blast when they're old enough to explore without fear of getting lost. The kids and David and our amazing au pair went on to Texas to spend some time with D's family in Lubbock, but I flew back to work and help out my parents with some things. I'm also obsessing over our upcoming trip to Switzerland and the festival show I'll be playing while I'm there. 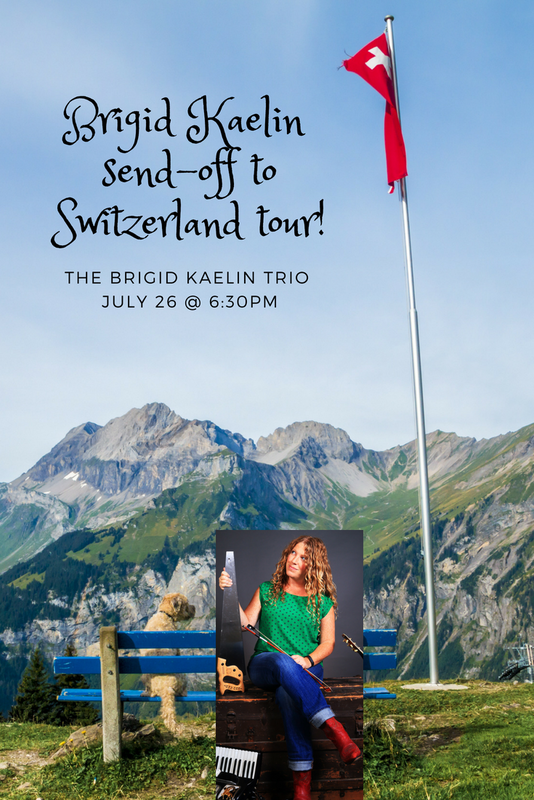 We'll also be in Salzburg during the Salzburg Festival, which, if you'll recall, is the festival where the Von Trapp family sang "So Long, Farewell," and then missed their curtain call because they were running away from the Nazis! Also, and I know in show business you're supposed to lie about your age, but I never have (so people probably think I'm older than I am because they assume I'm lying, hmmmmm) ... I turn FORTY just before the trip! Yee haw -- I can't wait. I'm bringing a new trio (a guitarist + a harmony singer/percussionist + me!) to play the festival in Switzerland, and you've never seen this lineup before. 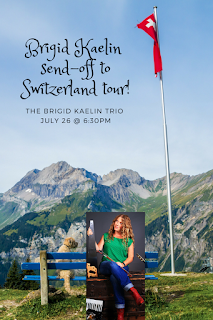 We are doing a send-off show -- a dress rehearsal for the big festival, if you will -- on Thursday, July 26, at the Bard's Town. It's an early show, and it's almost sold-out. Please get tickets in advance! I suspect there will be birthday cake.